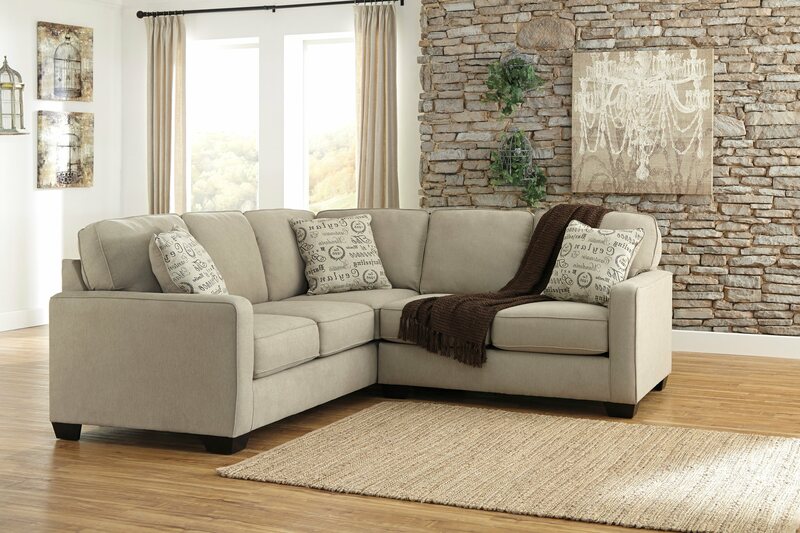 Merging a decidedly clean profile with cozy comfort, this sectional is high style made for real living. Neatly tailored box cushions and crisp, track arms beautifully enhance the aesthetic, while a fresh hued microfiber upholstery simply works. Script pillows are a posh touch.